The vestiges of Num Lock remain in macOS in a newer feature, Mouse Keys. Ever have a problem on your Mac, where you can’t type the letters and numbers 7, 8, 9, U, I, O, J, K, L, and M—and maybe some others? It’s probably Mouse Keys at play, an accessibility feature in macOS that mimics an old IBM-style keypad feature. Keyboards still have vestiges of their origins on typewriters and mechanical calculators. We mostly ignore those in our day-to-day work. The Shift key, originally meant to literally raise a set of typebars in a typewriter, merely shifts among upper and lower case. And you know better than to press Caps Lock when entering passwords—Apple even alerts you when you have it accidentally enabled. Early 84-key IBM keyboards had a numeric keypad that doubled as arrow and other keys for text-screen-based interactions. The Num Lock key was a product of the intermediate age, where mechanical and digital met. 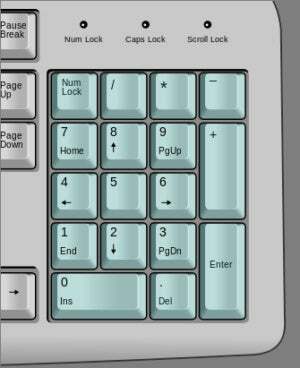 Some IBM computer keyboards didn’t have separate arrow keys, but they did have a numeric keypad for fast number entry. IBM doubled up: It added a Num Lock key that flipped the numeric keypad to act as arrow keys to move a cursor around a screen-based interface, before computer mouses. The pseudo-keypad layout relied on sets of four keys starting with 7, 8, 9, 0 and going down three rows to M. With this mode invoked, you could still type 7, 8, 9, and 0 and have those characters appear, as they’re still mapped to the same position. But U, I, O, P, J, K, l, semicolon, M, command, period, slash take on keypad functions. The PowerBook and some early MacBooks had numeric keypad symbols overlaying part of the main keyboard. Apple stopped supporting Num Lock via F6 quietly back in 2008. It shouldn’t be possible to invoke this mode accidentally, as it shouldn’t exist. It’s available in Boot Camp with some laptops, although Apple doesn’t specify which. An independent developer did create a Num Lock app—called simply NumLock—that would invoke the feature within Mac OS X; it hasn’t been updated in a few years, and I haven’t tested it in Mojave. Apple lets you hearken back to those IBM days with an accessibility feature in macOS called Mouse Keys. 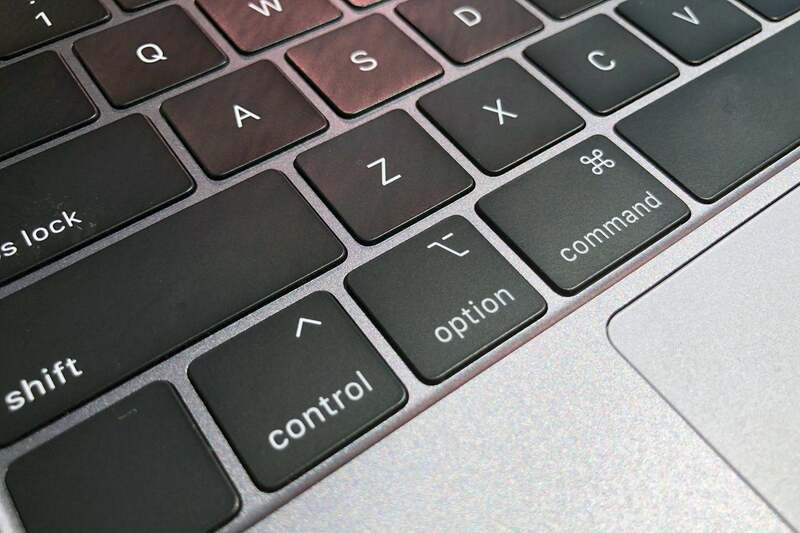 With Mouse Keys enabled in the Accessibility preference pane in the Mouse & Trackpad section, the number keys on a keypad turn into cursor diagonal, left, right, up, and down cursor movement in tiny increments—or hold down and it moves faster. To click the mouse, press 5; to click and hold, press 0; to release, press the dot on the keypad. 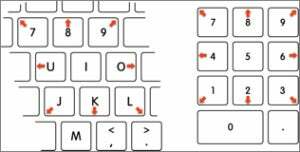 Mouse Keys remaps keys to cursor movement and mouse actions as an accessibility feature. However, if you’re using a laptop or a keyboard without a keypad, Mouse Keys hijacks a subset of that old IBM layout. 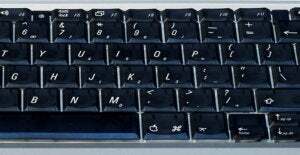 7, 8, 9, I, O, P, J, K, L, M, and period are turned into the same layout as a keypad (789/456/123/0.). One Macworld reader has found that a keyboard they plugged in invoked Mouse Keys even though they didn’t know it was turned on. You can disable Mouse Keys via the Accessibility preference pane, but if you haven’t changed defaults, you can also tap the Option key five times and an onscreen accessibility message appears briefly noting it’s turned off. You can similarly re-enable it the same way. This Mac 911 article is in response to a question submitted by Macworld reader Trang. We’ve compiled a list of the questions we get asked most frequently along with answers and links to columns: read our super FAQ to see if your question is covered. If not, we’re always looking for new problems to solve! Email yours to mac911@macworld.com including screen captures as appropriate, and whether you want your first name used. Every question won’t be answered, we don’t reply to email, and we cannot provide direct troubleshooting advice.